What Makes a Great Attorney? Being a lawyer is not just a job to me — it’s my calling. I do not take the responsibility lightly. As a client, you are coming to me for help with personal and critical events like divorce, parenting time and estate planning. These go to the heart of life: your FAMILY, FINANCES, FUTURE. That’s why it’s not enough to be a good lawyer; I strive to be a GREAT lawyer. GUIDANCE: A good lawyer uses knowledge of the law to help make a good argument for the client. But a GREAT lawyer uses knowledge of the law and wisdom of experience to help the client realize broader goals than the case, to behave appropriately outside the courtroom and going forward. A GREAT lawyer knows legal fees, the stress of litigation and the toll on the long-term relationships are just as important as winning motions and trials. RESPECT: A good lawyer takes the reins and says “don’t worry about it.” So you don’t until you get the bill or a shocking result. A GREAT lawyer works collaboratively with you as a two-person team; respects your point of view; and is mindful of your financial and time restrictions. EXCELLENCE: A good lawyer handles every case similarly based on a time-tested model. A GREAT lawyer realizes that each case is unique and may require additional research, attention or creativity above and beyond the norm. A GREAT lawyer will go the extra mile even if she can’t bill it to the client. She NEVER churns a case just to get a higher fee. She constantly studies, networks and trains to keep pace with the latest legal developments. ATTITUDE: Many good lawyers see themselves as well educated professionals whose time is precious and who need to be feared and obeyed. A GREAT lawyer has the same education and experience, but realizes that interactions with clients need to be positive, patient and personable. A GREAT lawyer is not afraid to get creative and try things like “unbundled legal services” because they serve clients better and more affordably. 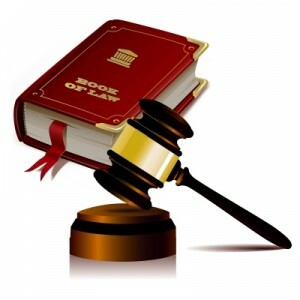 TECHNOLOGY: The legal field moves at a glacial pace when it comes to technology and other basic business developments. Many good lawyers act as if “snail mail” and checking in with the client once a month are state of the art. GREAT lawyers use online communication, affordable research models and independent contractors to avoid excessive overhead. GREAT lawyers participate in video conferencing and regular online billing to keep you on top of your fees and case progress. GREAT lawyers text, read email, answer their cell phones after hours and act as if we live in the 21st century. You deserve it!